At Fire Team Whiskey®, we are huge proponents of "no location needed" fitness. If you rely on a gym or a location, you are more likely to have more excuses not to get in your car to drive to do a workout. If you are home, with everything you need to get a workout in, then there are less excuses. All of the Fire Team Whiskey® workouts require no equipment and can be done in a space the size of a fitness mat. #1: A good fitness mat. Preferably one thick enough to provide both comfort when doing exercises on the floor or on your knees, but also to absorb impact when doing plyometric exercises. 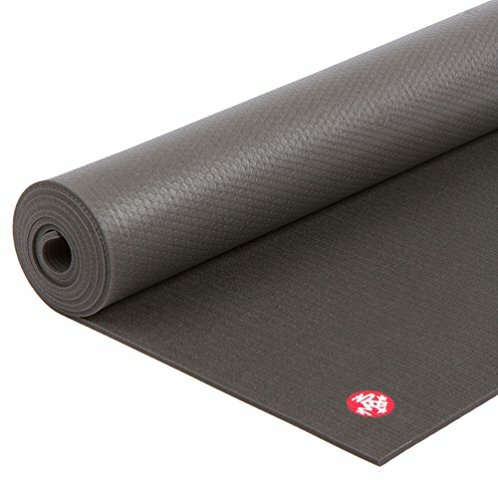 Our favorite are the mats from MANDUKA. #2: Small loop resistance bands. These create great resistance to add some strength work to your routine with no impact. Bonus, you can get these pretty much anywhere, even the local $5 store. So they are not only cheap but a very portable way to get strength training into your routine. #3 Sliding Disks. These little babies look very innocent, but boy do they pack a punch! They are super versatile for every kind of exercise from cardio, to strength to core. Our favorite exercise with sliding disks? Hold a plank, place a sliding disk under each foot, pull your knees into a tuck position up to your hands, and then slowly return both legs back together to plank. You're welcome! #4: Push up bars. These can be controversial, but we find the rotating push up bars are helpful especially for people who are still working on wrist strength. It makes it much more comfortable to do push ups and floor tricep dips. The ones that rotate add an extra bonus of being able to add some different movement and range of motion while lowering and raising in push ups, which you can't get with hands flat on the floor. #5: Medicine ball. You have to add some significant weight in your routine. A medicine ball (preferably a sand filled slam ball) is a diverse strength training piece of equipment. You can do everything with this thing. You can hold at chest level and extend it overhead for an overhead press. You can sit on the floor, lean back while holding the ball at your chest and rotate side to side for Russian twists. You can hold the ball in a bear hug and do squats. There you go, the medicine ball worked your arms, abs and legs with those three exercises.